I love autumn! I got married in the fall, the colors are beautiful, sweatshirts are cozy, and the air always smells so good. 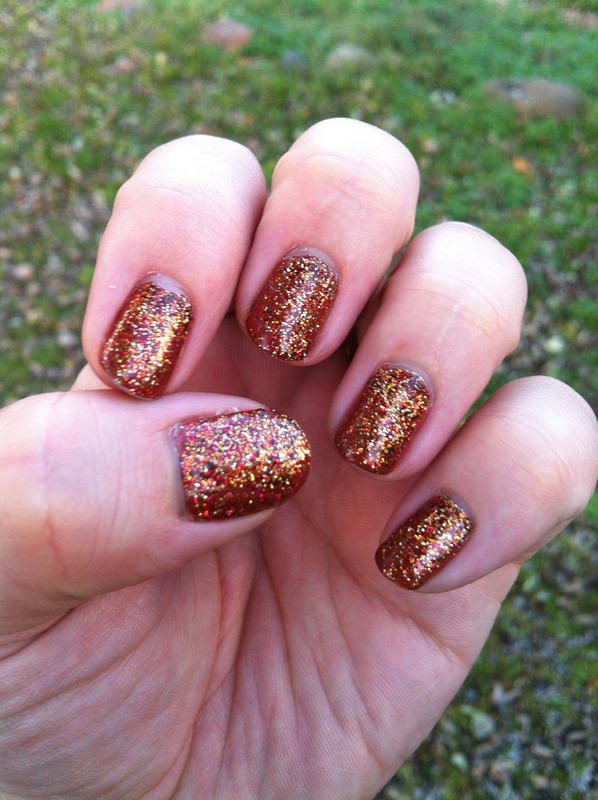 I wanted to try to make the perfect fall fingers, so I combined a bunch of glitters and put them on top of a brown nail polish. 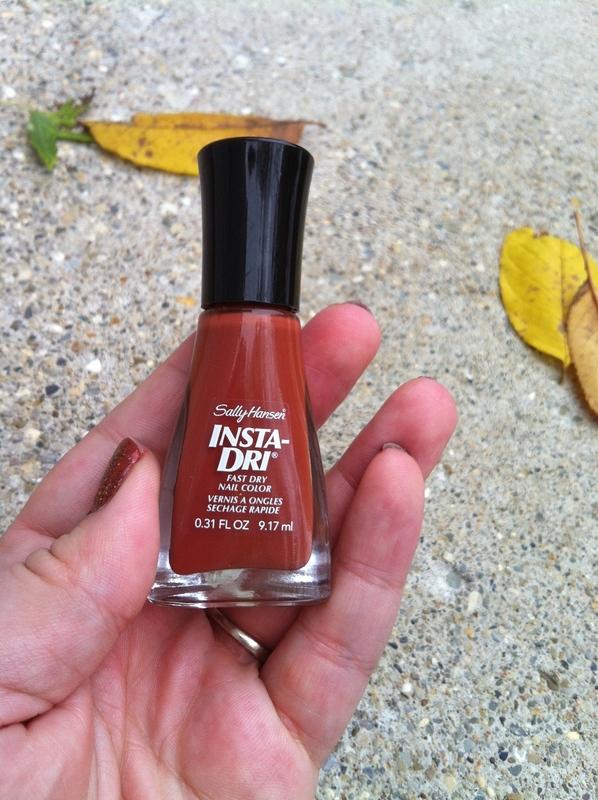 I began with Sally Hansen’s Insta-Dri Moracc-go. It’s a rusty kind of color that seemed like a good base for the seasonal look. 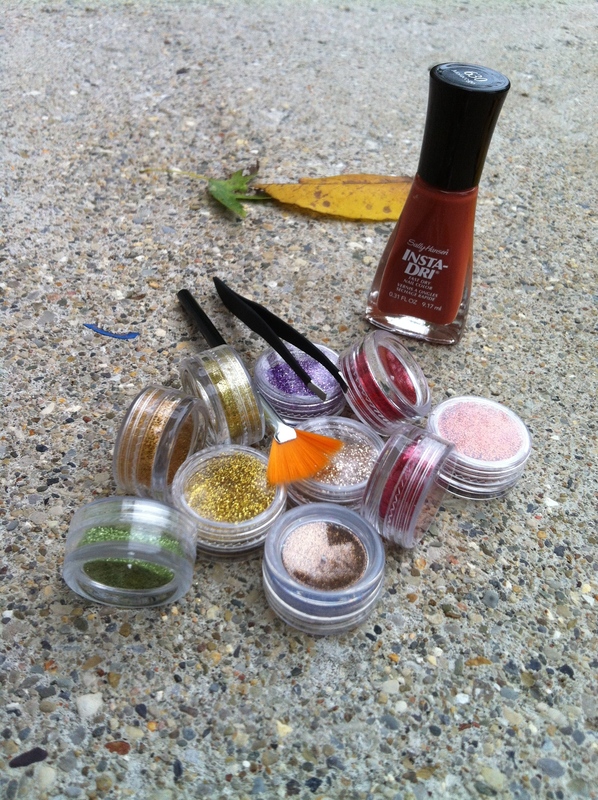 Then, I pulled out ten little glitter pots that seemed like a good variety of fall colors. 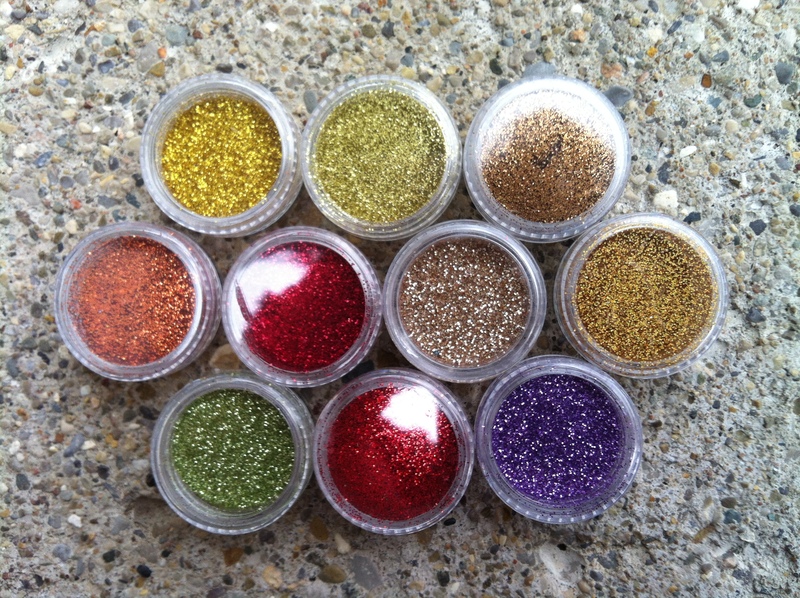 There was a holographic gold, gold, copper, green, burgundy, red, purple, orange, tan, and brown. I toyed with the idea of trying stripes or somehow fading one color into another, but I couldn’t come up with any combination that made me feel like I had hit the spot. 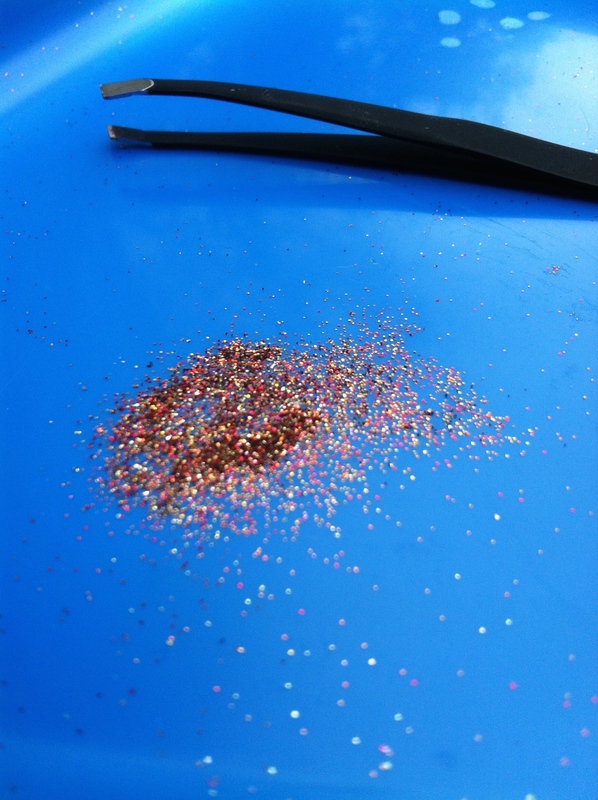 So I used some tweezers to pinch out a little of each and mixed them together. I wish that the sun would have been shining a little brighter when I took these pictures because it really sparked with each of the colors that I used. 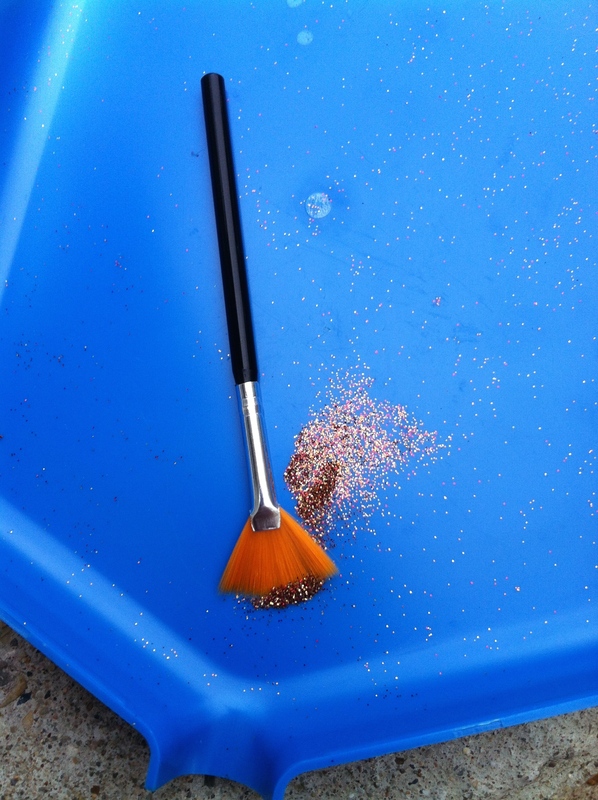 Then, using a fan brush I applied the glitter to the wet layer of nail polish. I will admit that I began with an attempt to do a faded look with more glitter at the bottom, then thin it out toward the top, but I goobed one up, and thought forget it. I sealed all of the glitter in with a top coat. 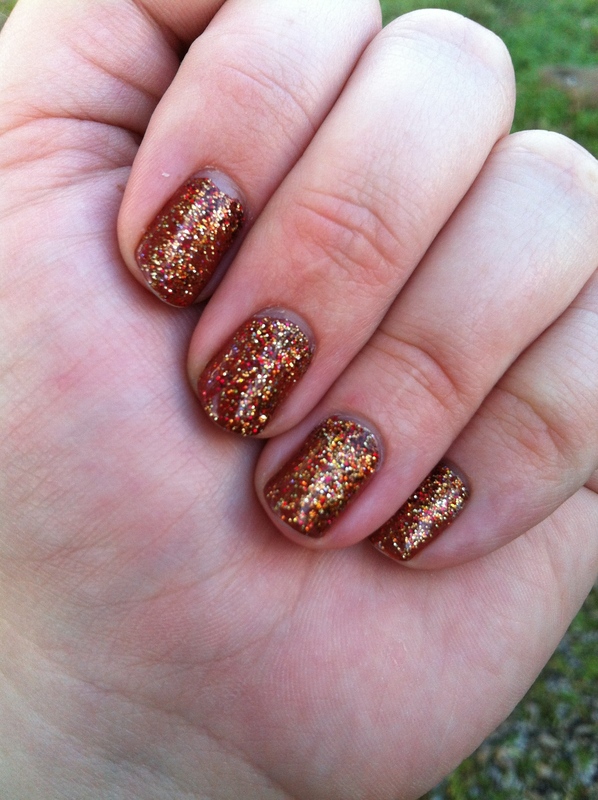 The finished product was a glittery fall look, and I was pretty happy with it. With the variety of colors, it matched a tone of outfits, and I got lots of compliments. These pictures were taken after a few days of wear and they still looked pretty good. What are your favorite fall looks? Let me know. I am looking for a cute Thanksgiving idea.